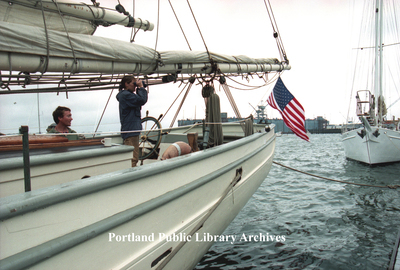 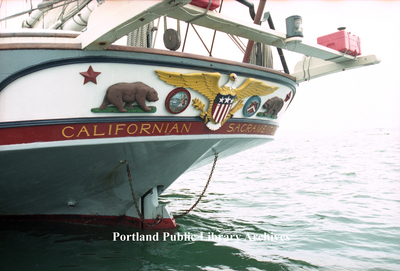 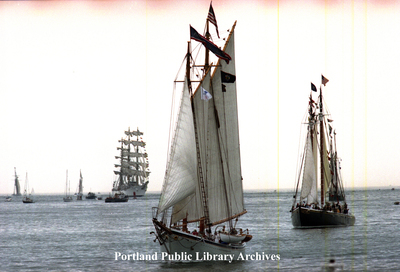 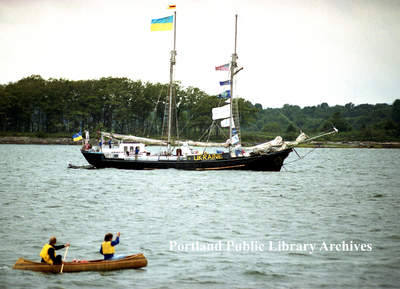 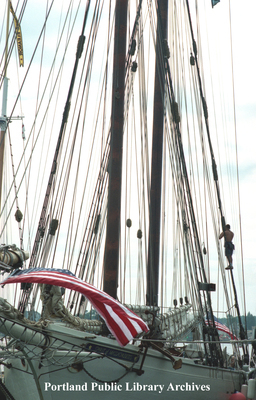 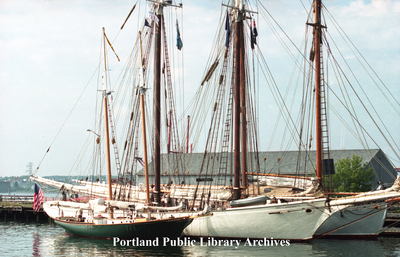 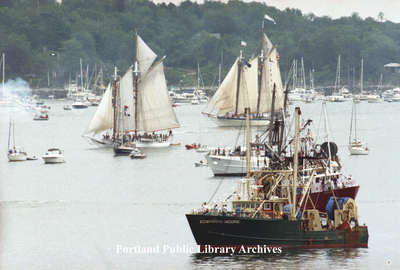 Schooner, the Spirit of Massachusetts, with flags. 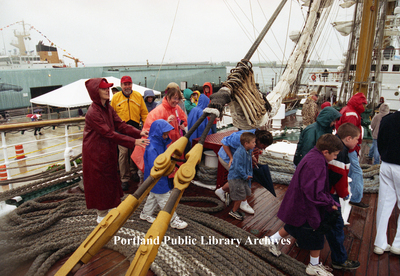 Touring the Tall Ships, Portland Fish Pier. 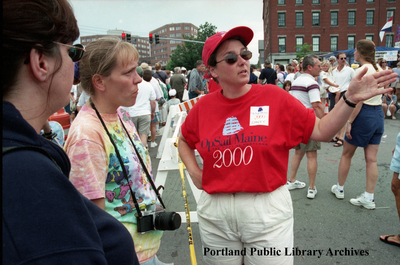 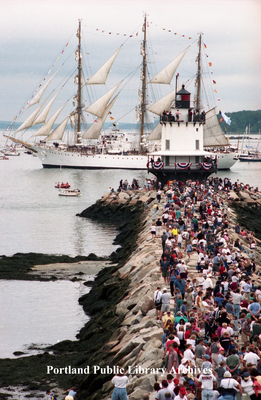 OpSail 2000 Parade of Sail, Casco Bay. 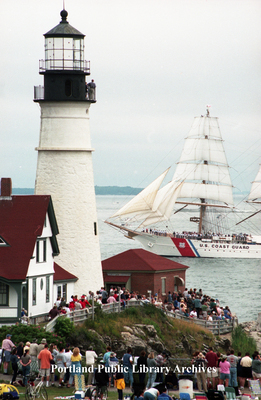 OpSail 2000 Parade of Sail, with local boats, Casco Bay. 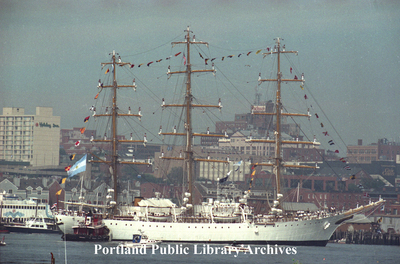 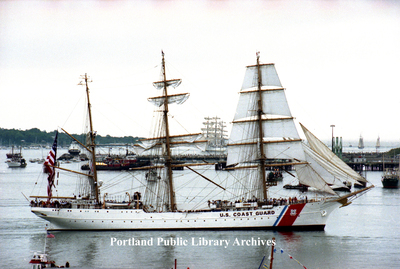 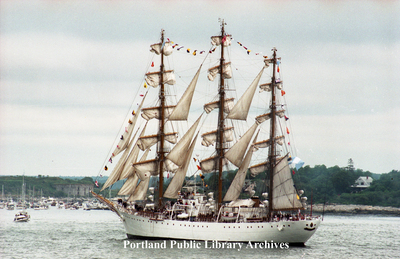 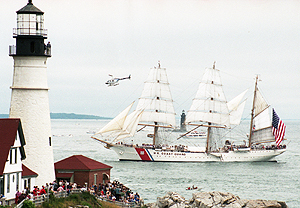 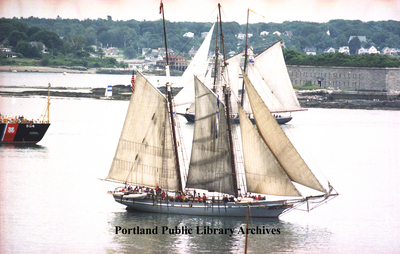 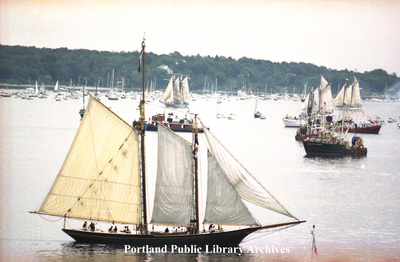 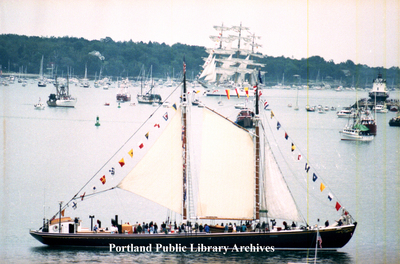 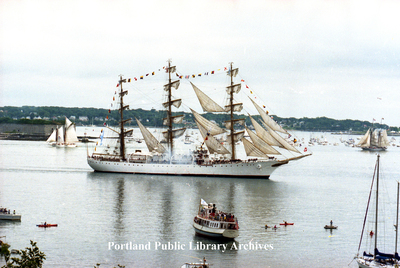 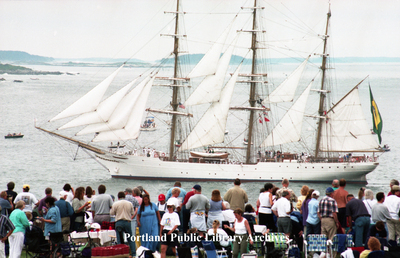 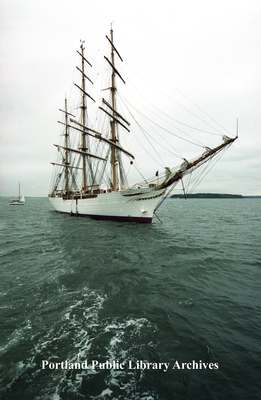 OpSail 2000, viewed from South Portland. 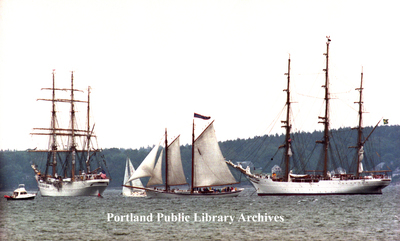 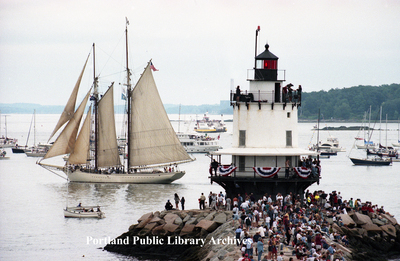 Parade of Sail, Spring Point Light. 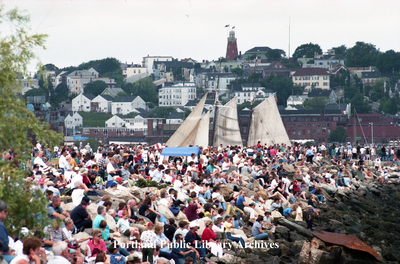 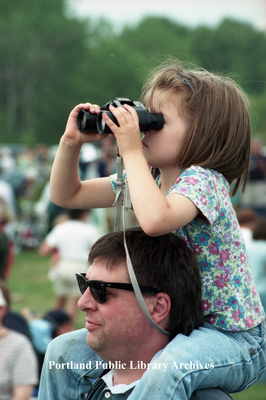 Parade of Sail, viewed from Eastern Promenade. 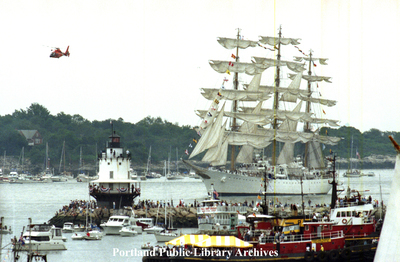 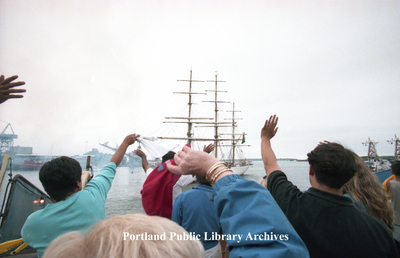 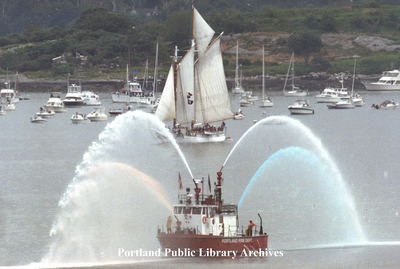 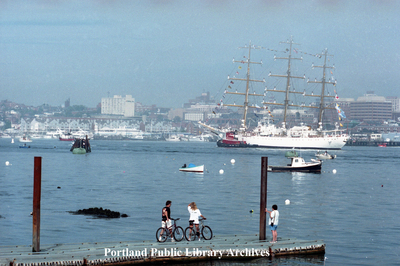 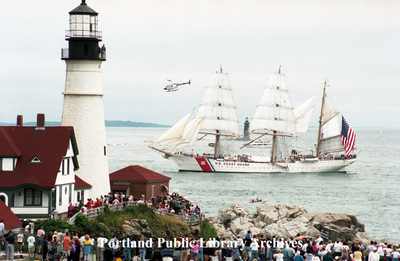 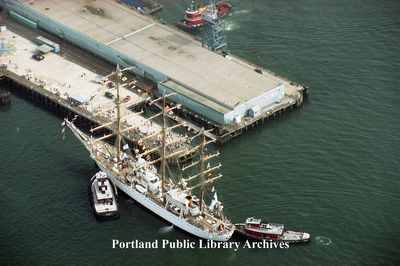 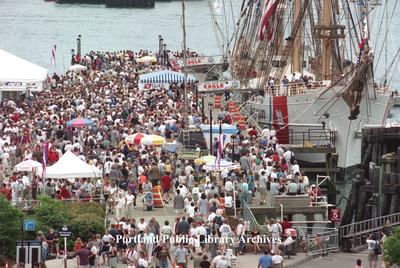 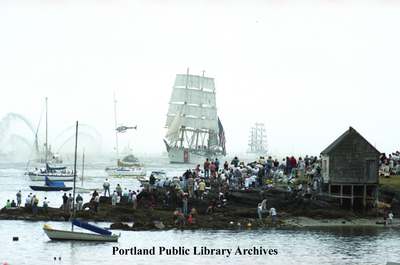 Portland Fire Department Fireboat at OpSail 2000.